Ready your rocket and buckle up, because this week we’re blasting through time and space. But when - and how - did we start star-hunting in the first place? Let’s travel back in time with Adam Murphy. 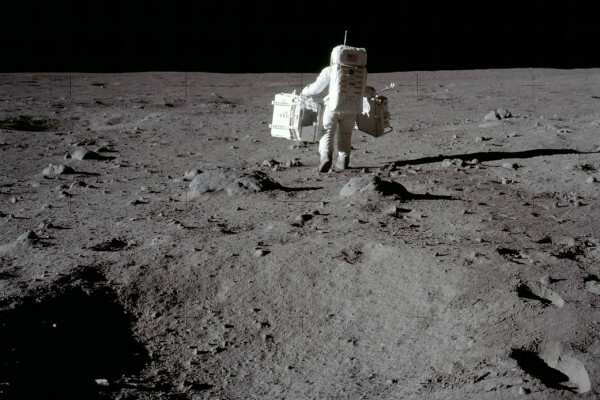 Plus Izzie Clarke speaks to Astronomy journalist Stuart Clark about the impotance of Apollo 11. Adam - For as long as humanity has been able to look at the stars we've dreamed of reaching out to them, from the tomb at Newgrange in Ireland, aligned with the summer solstice, to the ancient Greeks naming constellations. We've thought about touching the stars since time immemorial. Rebecca - That's called the plurality of worlds or cosmic pluralism. This is people thinking philosophically on: is Earth the only world? If there are other worlds, are other people on them? Adam - That is Rebecca Charbonneau from the Department of History and Philosophy of Science at Cambridge University who specializes in the history of aerospace. Now we've moved on quite a bit from the ancient Greeks and their plurality of worlds. When did those ideas turn into thoughts of really exploring skyward? Rebecca - That's where we're going to come to Galileo. If you want to think of astronomy as using instruments that allow us to physically explore the cosmos, either with our eyes or with the machines that we build, I think Galileo was one of the earliest case studies of that. The history of the telescope is also kind of complex. Typically credit goes to a Dutch eyeglass maker named Hans Lippershey. He made what is essentially the refracting telescope. The following year Galileo heard about this technology, made some improvements on it and then used that to discover the moons of Jupiter, things along that line. That's where you start having exploration of these other worlds in that optically tangible sense. Adam - Now looking up is all well and good but humanity has never been content to just look at mountains when we could be climbing them. How did we start moving into space ourselves? Rebecca - That is much, much closer to the present era. We haven't been doing that for very long. If I wanted to start slightly earlier back I would take us to the late 19th and early 20th century. That's when you have what are known as the fathers of rocketry. In order to get people up there you first need to have means of getting up there. And so there are three so-called fathers of rocketry. In Russia and then the Soviet Union there was Konstantin Tsiolkovsky who wrote some of the first scientific papers on demonstrating that you could use rocketry in order to have spaceflight. Around the same time in the United States there was Robert Goddard who created the first liquid propulsion rockets. In Germany you have Hermann Oberth and he wrote books on potential of rocketry for spaceflight. Kind of around the same time period, at the turn of the 20th century, you have these three different men in three different countries positing on the idea of using rocketry for spaceflight. Adam - And it may have taken a while but eventually... we managed it. Rebecca - In April 1961 you have Yuri Gagarin, who was a Soviet cosmonaut. He was the first human being to both enter space and orbit the planet. He was proceeded by Alan Shepard, on the U.S. side of things, less than a month later. Alan Shepard however was only able to be launched into space, but was not able to achieve orbital flight. Adam - This achievement began as something far more destructive - as V1 and V2 rockets used by the Nazis in World War 2, developed by a team of scientists led by Wernher von Braun. Other nations began to collect these rockets seeing the potential of this new technology. But von Braun also saw something more aspirational - manned spaceflight. He wasn't the only one. Rebecca - Take for example Sergei Korolev in the Soviet Union, he was the chief designer of the Soviet space program. He's the one who was able to convince Nikita Khrushchev to put Sputnik on the top of their R7 rocket. It was these men individually influencing the government. Adam - What about possibly the most famous space agency - NASA. How did that come into being? Rebecca - NASA wasn't founded until 1958 and it was founded as a direct response to Sputnik. Sputnik was launched in October of 1957 and after Sputnik was launched this was really alarming. It was then an imperative to be able to compete with the Soviet Union on this level. In the New Year NASA was founded. Adam - How successful was NASA at the beginning? Rebecca - Actually NASA was not very successful against the Soviet Union in the early days of the Space Race. In fact the Soviet Union was able to accomplish a large number of objectives that NASA was behind on. Sputnik got the first object in orbit and then literally a month later Sputnik 2, which had Laika the dog also in orbit, so the first earthling in orbit, they were also able to accomplish the first person in space, the first person in orbit, the first woman in space. They were able to put the first manmade objects on the moon. The first nation to put manmade objects on other planets. There's a really long list of firsts and it wasn't until the mid 60s where the Soviet Union really started lagging behind. Adam - America emerged the victors of the Space Race on the 20th of July 1969 when Apollo 11 put a man on the moon. But how did that change the way we see space and ourselves? Rebecca - Well certainly if you look at the public side of things it really excited the public imagination. If you talk to anyone who was alive and conscious during the landing on the moon no matter what nation they're from they tend to be very excited and talking about how that was a really impactful moment in their lives. It definitely has a sense of seizing human imagination and that probably comes back to our roots in history and being fascinated with the idea of other worlds out there. Katie - Rebecca Charbonneau from the Whipple Museum in Cambridge talking to Adam Murphy. Izzie - Rebecca was also mentioning the Apollo 11 mission, which certainly was a giant leap for mankind. Joining us in the studio is Dr. Stuart Clark, astronomy journalist and fellow of the Royal Astronomical Society. Stuart, how difficult was it to get people on the moon? Stuart - Oh tremendously difficult. It was a colossal undertaking and the way they approached it as well. Whilst obviously doing everything that they possibly could to guarantee the safety of the astronauts, they were not afraid to take a risk if that was the only way that they could do this in an efficient manner. Remember it really was a race to get there before the Russians. They balance that completely as they developed the program and the technology to get people there and back. Izzie - Amazing as it was that we were able to get people there and bring them back, we then sort of stopped sending people to the moon. I mean it was thought that, in the 60s, we’d all be living on the moon in the future. Why did that come to an end? Stuart - It really was tremendously expensive, the Apollo program. It was unsustainable. With the virtual collapse of the Russian moon landing program and America winning the Space Race, doing it enough times to show that it wasn't a fluke, that it was just something they could do with all the political points being scored in that way, then it was time to divert that money somewhere else.